Morrisville, N.C. — Raleigh-Durham International Airport is welcoming several new stores in 2018, including the WRAL Travel Store. This store will open in summer 2018. 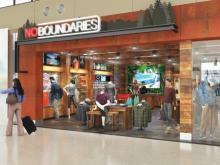 The store will be located in Concourse D of Terminal 2, which serves airlines including Delta and American. Travelers can buy travel essentials like snacks, souvenirs and magazines. Customers will also be able to find touchscreens linked to WRAL.com and WRAL programming. The WRAL-branded store is one of 15 new stores featuring both local and national products in Terminal 2. This is the first refresh of concessions since Terminal 2 opened in 2008. The new stores will be implemented in phases beginning in fall 2017. All new stores are scheduled to be open by summer 2018. RDU serves more than 11 million passengers each year, averaging more than 30,000 customers every day and is home to more than 5,000 employees.